Malaysia has the tropical climate, hot and humid and there are almost always distinct seasons. However, from February to October, you should visit the east coast and the states of Sarawak and Sabah on the island of Borneo. The other side, the West, however, is most at risk with regard to the monsoon rains during the period between August and November. In short, the average temperature is great although often too high and ranges from 30 to 35 degrees. The Malaysian currency is called 1 MYR Ringgit and is worth about 20 cents and, conversely, 1 euro is 4.7 MYR. 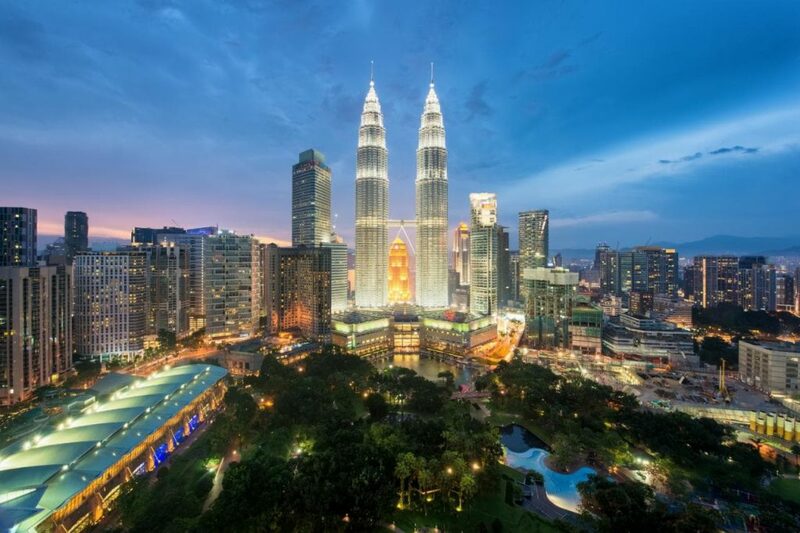 PETRONAS Towers, towering 88 floors to 452 meters high, can indicate a clear symbol of progress in the country. Masjid Jamek, however, is among the most interesting and famous mosques in Kuala Lumpur. It was built in the last century, in 1907 and has precisely the onion domes and minarets of pink and beige brick. Particularly striking at sunset, Friday Mosque is known as well. Temple of Sri Mahamariamman, the main Hindu temple in the city has build with colorful decorations and statues. It was built back in 1873. In the Lake Gardens, once were British officials, and now, however, in 92 acres of green there is a wealth of attractions. Interestingly, for example, the planetarium, the butterfly garden and the area devoted to orchids and hibiscus. Significant and valuable is also the museum of insects, especially for fans.